Warm, creamy and smoky baba ganoush makes us want to cuddle up under a blanket and watch good films so it’s perfect for an Autumn weekend lunch. 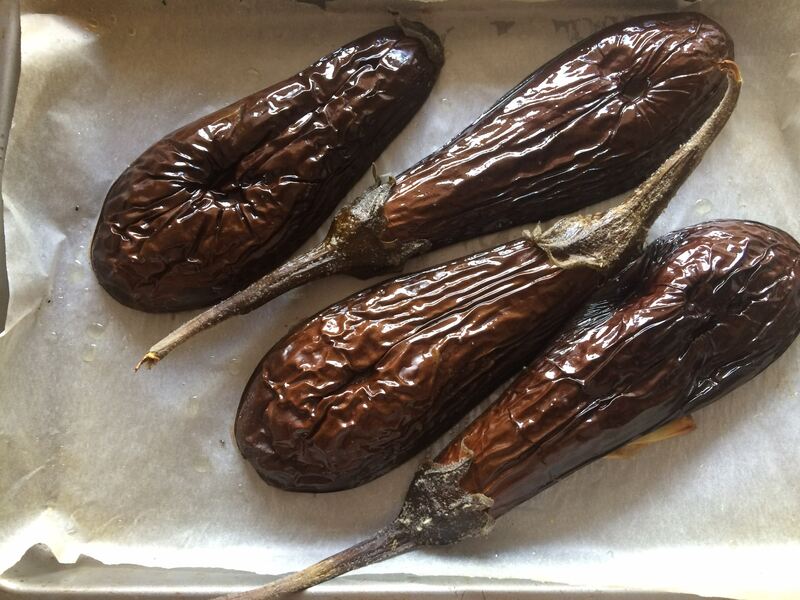 The aubergines are best cooked in halves or if you have a gas hob you can stick the aubergine, whole, right on top of it for an extra smokey flavour – maybe just open the window a bit and make sure you turn it often! 1. Start by roasting the aubergines. Heat the oven to 200°c. Slice the aubergine in half lengthways and drizzle with oil on both sides, place the cut sides down on a tray and roast until the flesh is cooked for between 15 – 20mins. 2. Leave to cool down a little and then scrape the flesh from the skin and whizz up in a liquidizer along with the other ingredients. 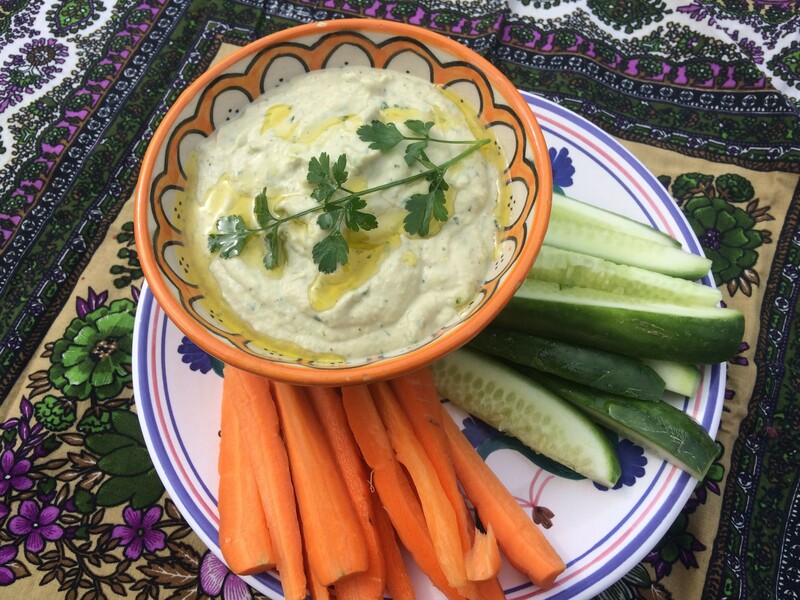 Taste for seasoning and serve with carrot and cucumber sticks or as a spread on oatcakes for lunch.